Ménière’s disease is an inner ear disorder that is long term, progressive and affects both the balance and hearing functions of the inner ear. Ménière’s is a debilitating unpredictable disease, with high levels of psychosocial comorbidity and reduced quality of life amongst diagnosed individuals. Currently, there is no known cure for Ménière’s, and only symptomatic drug treatment. Therefore significant emphasis is placed on self-management, with patients expected to identify and avoid triggers where possible. Atmospheric pressure is considered to be a possible trigger for spikes in Ménière’s symptoms and attacks. A recent pilot study by researchers at the European Centre for Environment and Human (ECEHH) in collaboration with the Met Office and a local business (Buzz Interactive) has added to the evidence base that low atmospheric pressure may exacerbate symptoms. 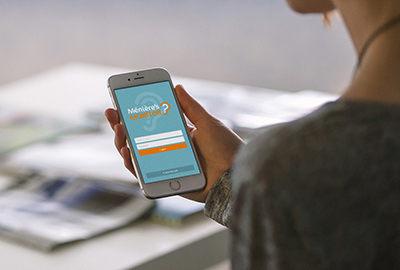 A mobile phone app has been developed which allows participants to monitor the 4 key symptoms of Ménière’s (acute attaches, dizziness, hearing status and tinnitus), whilst collecting their GPS location data enabling amalgamation with Met Office weather data for that specific day. Initial findings from 6 months of data suggested inverse associations between atmospheric pressure and symptom severity. This pilot project extended the analysis with a further 6 months of data, as well as including a broader range of weather variables (sea level pressure, station air pressure, temperature, wind speed, humidity, visibility). The environmental data was extracted from the MEDMI server using SSH Command line and then linked with Ménière’s symptom data. Key findings within this data set confirmed the inverse association between atmospheric pressure and the symptoms of Ménière’s and identified potential associations with high humidity and increase odds of attacks and an inverse association between temperature and tinnitus. These findings remained when all other weather variables were considered and seasonality was adjusted for.